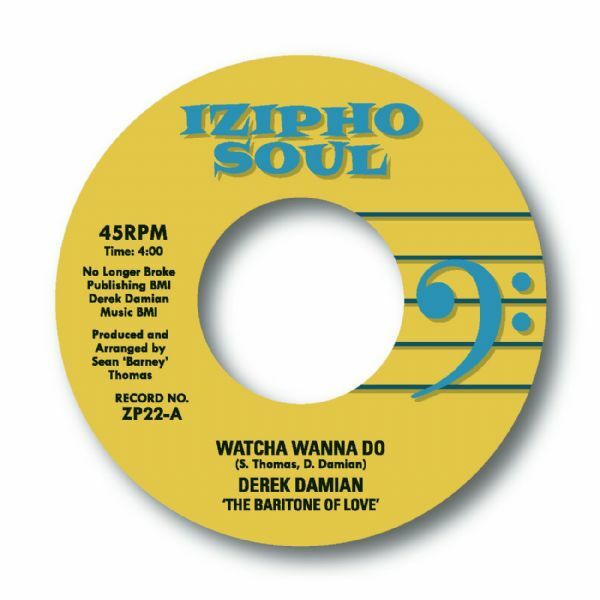 In 2011, Dallas based singer, songwriter Derek Damian recorded the powerfully uplifting ‘Watcha Wanna Do’, it’s freshness remains and releasing this on a 7’’ single, attends to unfinished business! The flip side, ‘Never Felt So Good’, is an insanely romantic ballad, once again showcasing The Baritone Of Love’s guttural vocals. Derek began his music background in the “Heartland of Iowa” where he went to school and began singing to old school records like Barry White, Teddy Pendergrass, and Isaac Hayes. Many performers caught his artistic ear and began to develop his sound which became a baritone bass with massive range. The world began to notice something very special about the way he delivered his vocals, smooth yet powerful and was often asked who trained you? well he is the son of Harry Elston, one of the Lead Singers of the Old School 70’s Group “The Friends of Distinction,” who’s hits include Grazing In The Grass and Going in Circles. “He taught me how to come out of a powerful vocal riff into a smooth transition, I just think it’s DNA. In his later years Derek Damian moved to California and Joined up with R&B group “Phaze 3” as the bass vocalist of the quartet. Phaze 3 has had success around California and landed a compilation deal through an entertainment company/RCA Records. Things began to change as life does and the group went their own way which brings us into the now. In 2011 he began his singing career with an overseas hit called “Watcha Wanna Do” which was produced by Sean Kristopher a great friend of his, that song and his first entitled album “Destined For Greatness” did very well in the UK, France, Germany etc. After a couple of music videos and a few singles released, he took a hiatus to focus on other venues but never loosing site of music. “I always felt sometimes you have to get other interests in order then come back to the things you love most in due time, and I feel that time is now.